Another alien cars in just five million dollars — McLauren X-1 Concept 2012 release. He created the concept of Hong Yeo. A very strange combination? Look at the photo, and everything will fall into place. Unfortunately, it is not known exactly who is the customer of such a monster. Weight — 1400 kg, length — 4658 mm. 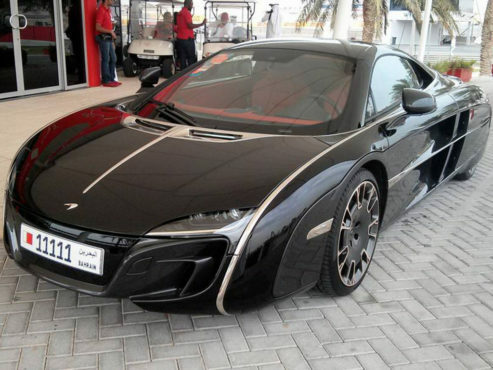 It borrowed the engine and chassis from McLauren MP4-12C. Body panels were developed specially for a long time for this model. Also in the arsenal of exclusive cars and lighting wheels that can not be found anywhere else.